I don’t think I’ve ever cringed so hard in my life. Chelsea Clinton is actually considering following in her parents’ footsteps and running for political office, according to rumors. Being the daughter of a former President and a former Secretary of State, Chelsea has grown up surrounded by politicians, but she’s also been steeped in corruption. Not exactly the kind of person you want representing you. She even went after Rep. Steve King for saying that: “We can’t restore our civilization with somebody else’s babies,” referring to the Muslim refugee crisis taking place in Europe. 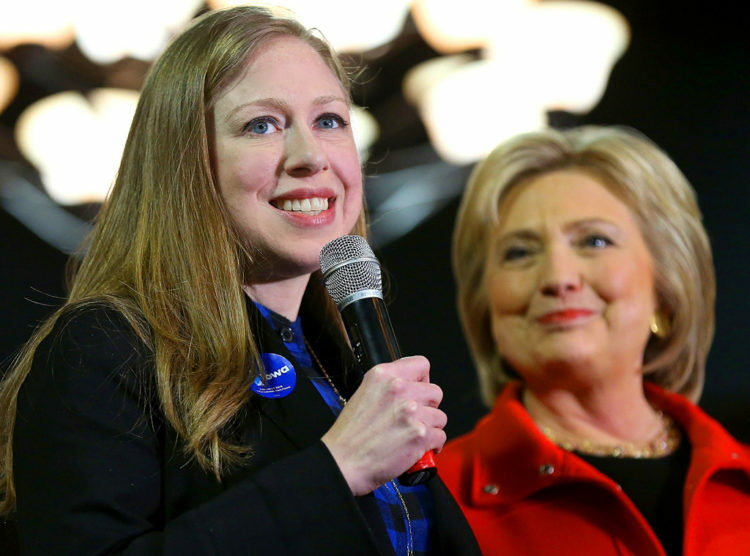 Former Clinton aides have mixed feelings on Chelsea becoming more involved in politics. “She’s never denied that she has an interest in running for office, and that leads me to believe that one day she will, and she’d probably be successful,” said one. “Even if it’s a year or two or three from now, I still don’t think the timing would be right. I know that’s not fair to her, but nothing feels right about it. It feels too forced,” says another. Do you think she’s planning to dive into the political realm?